I want to talk about two muscles on opposite sides of the body that can cause us a lot of trouble. 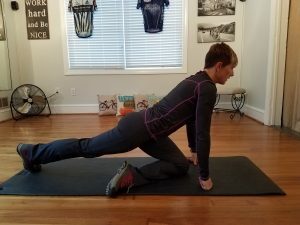 In a previous blog, we covered stretches for cyclists, runners and anyone who sits. Sitting can cause trauma in the area of both these muscles and has enormous repercussions for the body. I want to cover these two in depth a little more today because once you understand the mechanics behind them, you might understand why it’s so important to the health of your back to keep them strong and flexible. We are in an era where people sit all day long. And then we get into our cars and sit some more. And then we get onto our bikes and sit while we pedal. Some people also do a lot of sit-ups or crunches but never reverse the shortness and do extensions (we don’t work the rear chain – the subject of a future blog post). Pain is caused when muscles become too tight or too weak. This is true for psoas as well. 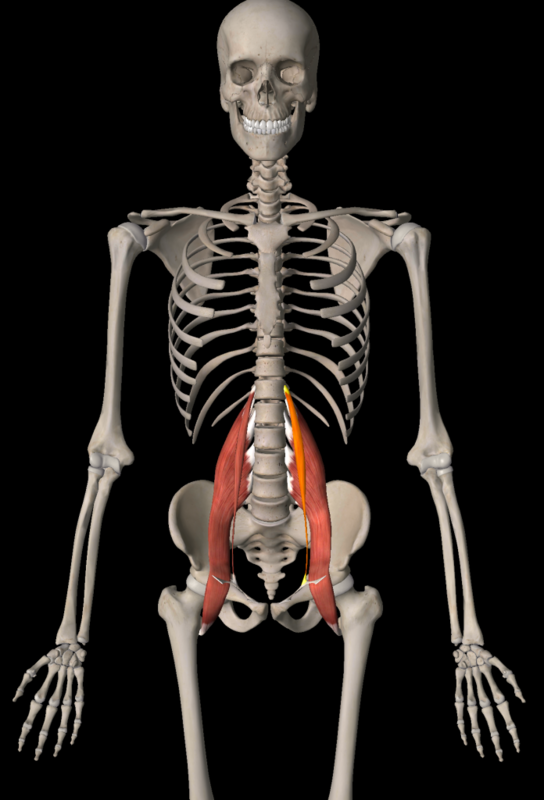 A short psoas on one or both sides will affect posture and gait. Add to that a repetitive activity, it can spell disaster, and long-term damage. 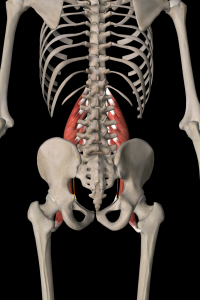 When one or both psoas muscles are shortened, the pelvis will tilt forward, the lower back muscles stretch out to accommodate new pelvic position and the abdominals never fully activate. The glute muscles are also not fully activated because they are inhibited (reciprocal inhibition) and the glutes disengage and atrophy (glute amnesia). They literally switch off and forget how to work. This is quite evident if you watch how the majority of people walk today. 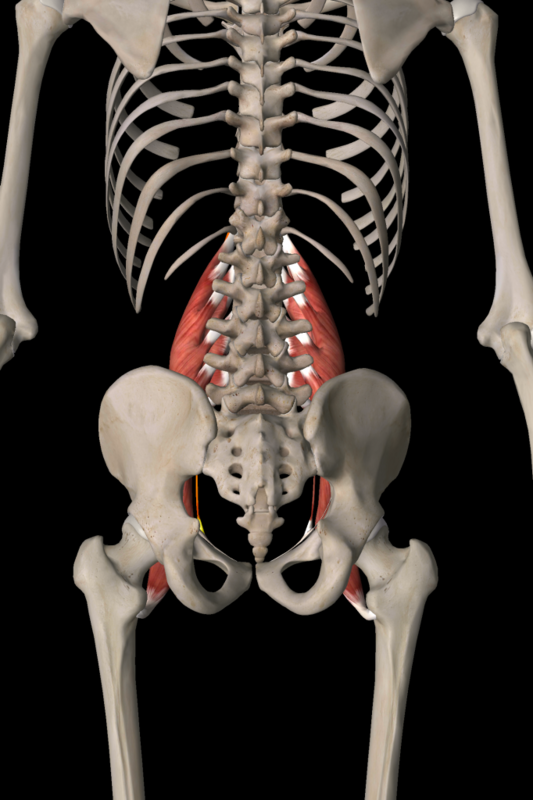 A shortened psoas will initiate chronic back pain because the lumbar discs are compressed. Because of where they attach on the lumbar spinal vertebrae, as they shorten, they begin a compressive action on the lumbar discs, squeezing the discs and nerves. Very often, this feels much worse in the morning when you wake up, because the body re-hydrates overnight, and the discs (the material between the vertebrae that acts as a cushion) rehydrate too, and as they do that, there’s added pressure. A professional can test for weakness and tightness in psoas, but it would do a lot of good to stretch and strengthen the psoas. Stretching the psoas and strengthening the rear chain is essential for a healthy back. This is a very simple kneeling hip-flexor stretch. Make sure your front knee is not over the front ankle. I like to flatten my back foot and press the foot into the floor. 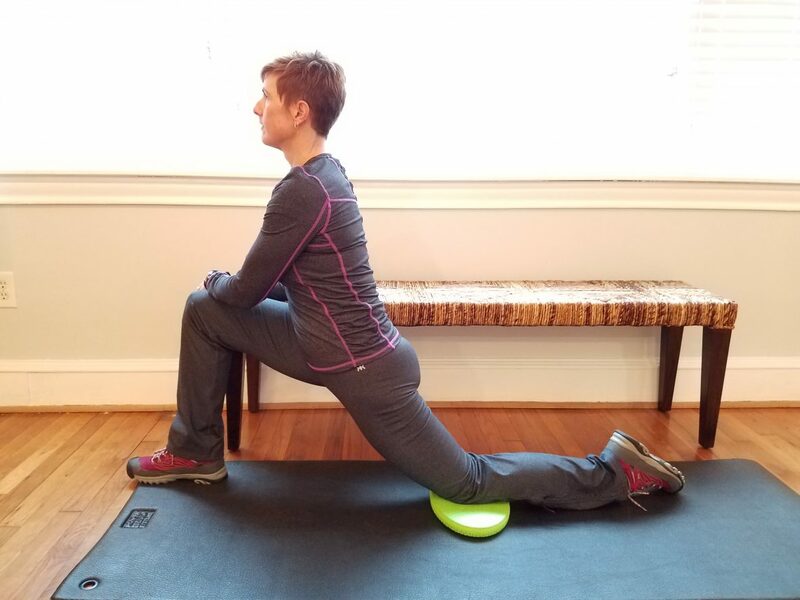 Your trainer or sports massage therapist can do some very effective assisted PNF (Proprioceptive Neuromuscular Facilitation) stretching for your psoas too. Here is a manual release technique for the psoas that you can do on yourself. Use a small trigger point ball (the one I’m using is a bit big, but for the sake of the photo, you can see it). 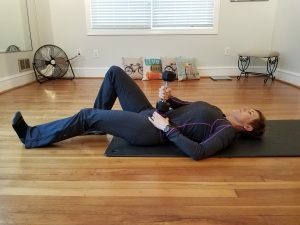 Use something heavy (don’t go crazy) like a dumbbell to add some pressure. Put the ball about an inch inside your hip bone when you lie on the ground with your legs pulled up. My suggestion is to find a floor with some glide, and slide in your socks on the working side. Using the weight to bear down on the ball, which will in turn bear down on the psoas, slide your leg away from you. You should feel the ball make contact with the psoas. When it becomes uncomfortable, slide back up and start again. Continue this routine until the glide becomes smooth and pain free. 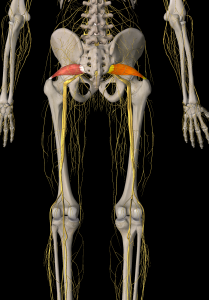 This is one of the most common causes of severe pain in the body because the sciatic nerve is affected. The sciatic nerve is huge – almost as thick as your little finger. 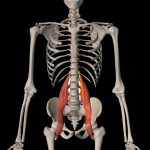 It runs through or underneath the piriformis. 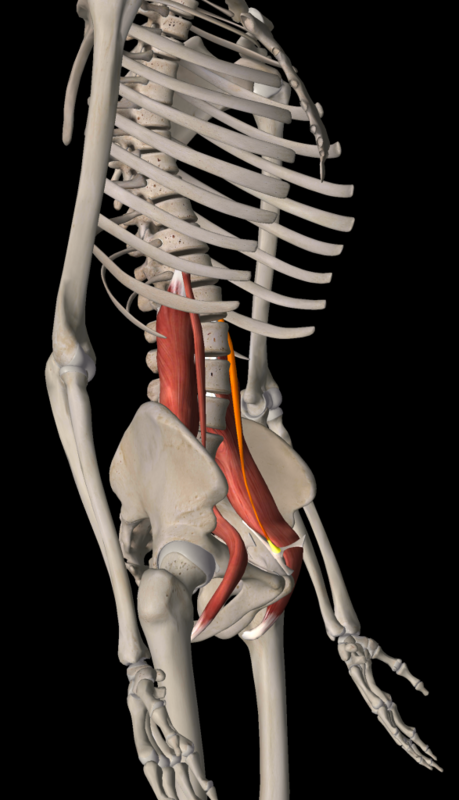 When the piriformis gets irritated or tight, it locks down on the sciatic nerve. It can cause pain to radiate from the glute, all the way down the back of the leg into the hamstring, the calf muscles and into the foot, and can be very painful. 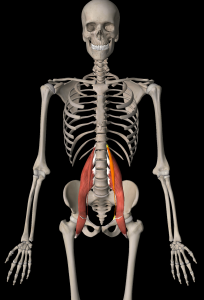 The two points of attachment are lateral hip and the sacrum. Their job is external rotation at the hip (to turn the leg out). The piriformis can get irritated due to any number of reasons. One of the more common ones is sitting for long periods of time. 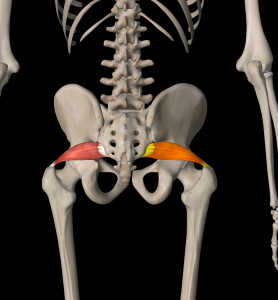 This effectively shuts down the glutes and in turn the rotators, and they become weakened. 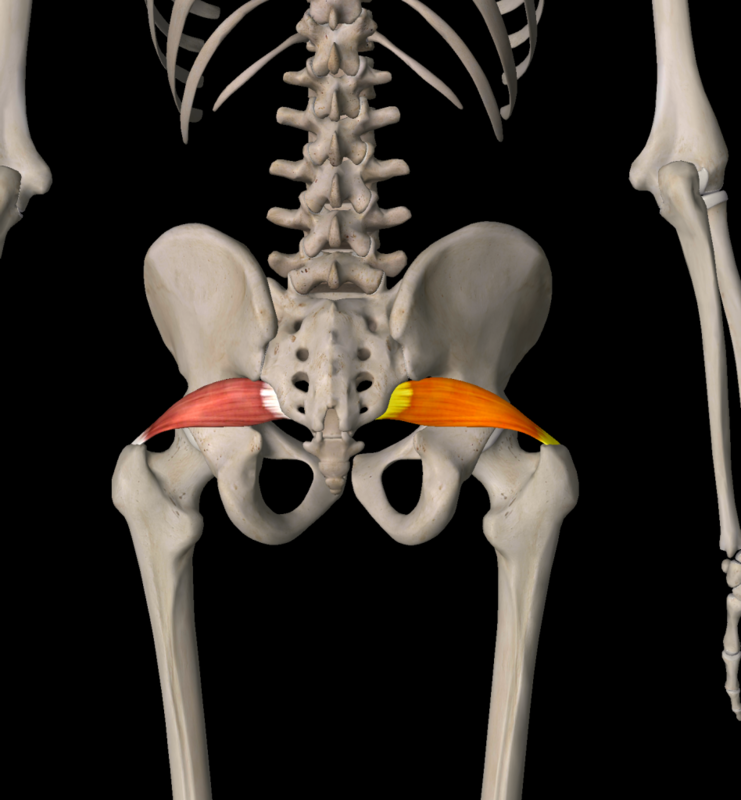 Another cause for irritation in one side (and it’s usually just in one side) is a shift in the pelvis where the muscles on one side are under strain. 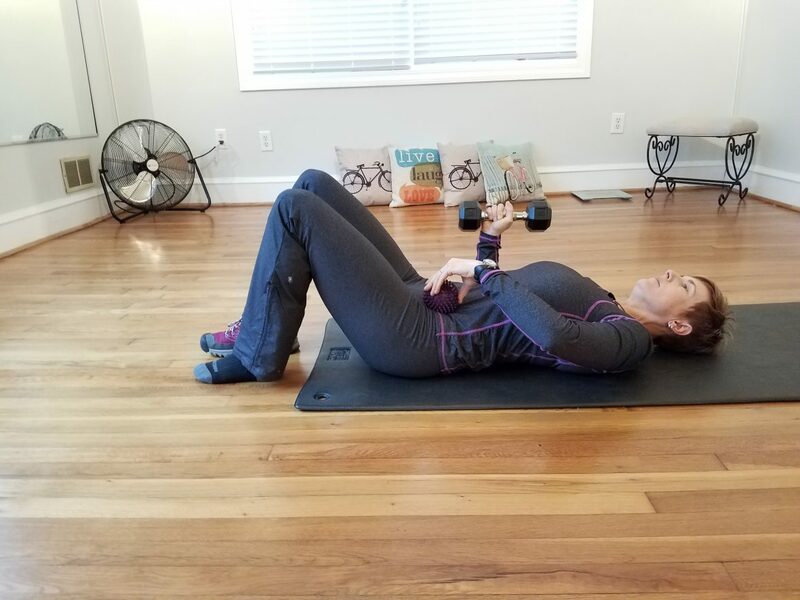 Glute and rear-chain strengthening exercises are of huge importance, particularly in the society we have created for ourselves today where we sit way too much. 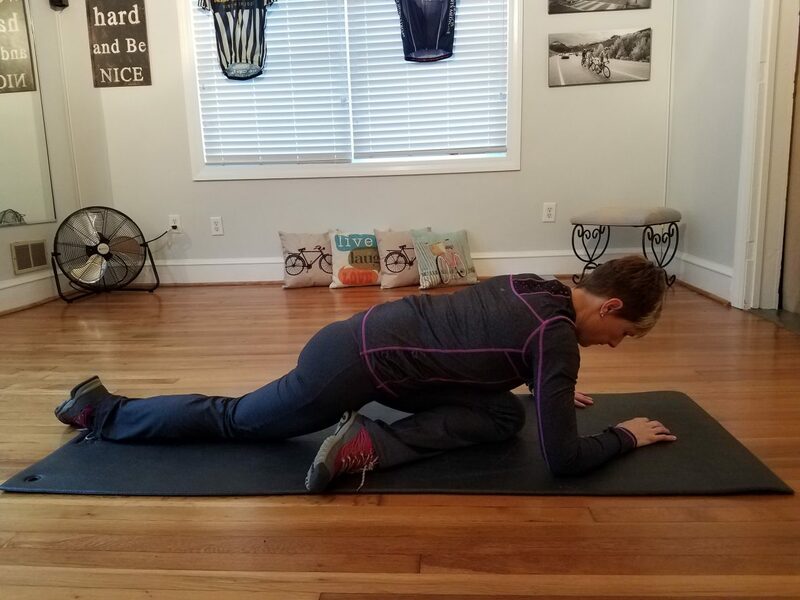 “Pigeon” stretch is effective to stretch the piriformis. By shifting the pelvis in a half-circle motion towards the front leg, you can deepen the stretch. Be careful if you decide to use a foam roller or a therapy ball to try to loosen piriformis on your own. 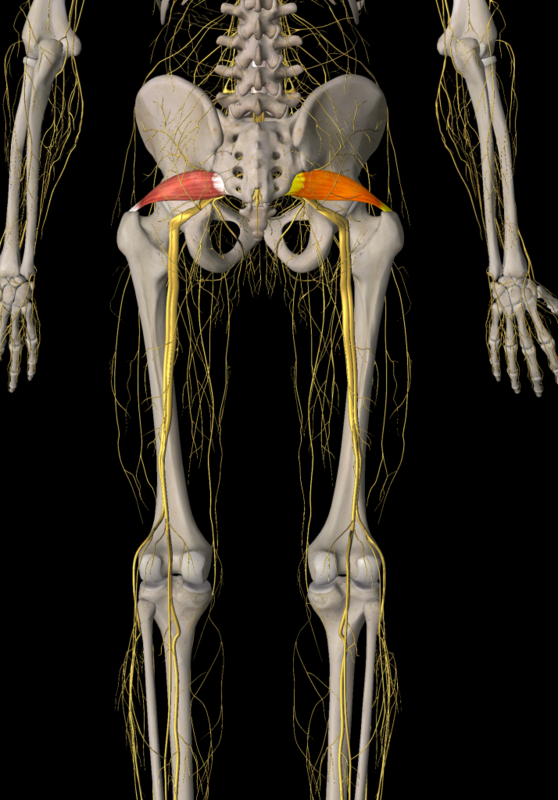 There’s potential to do more damage to the sciatic nerve. Get some work done by a professional who is trained to do gentle and effective work on and around the piriformis.